Motion sensor lighting is a must when it comes to security and safety on your property at night. It will calm your fears when it automatically lights up a dark area. Whether you’re coming home at night, have to navigate a dark, icy sidewalk or wonder about strange noises in your back yard, you’ll be safer when any nearby motion activates your outdoor lights and they switch on. You can have motion sensor lighting installed inside and outside the home to make life a little easier. Moreover, for the sake of the environment and your utility bills, motion sensor lighting helps reduce and conserve. Lights left running are a drain on resources and can lead to more burnt out bulbs. After the relatively small initial costs, motion sensors get to work on saving you money. You could get motion sensor lights in a standard Hard-Wired version, which are usually installed by professionals, or as a wireless, Battery-Operated set which could be easily set up. Other versions could also be Solar Powered. As for alarms, the device could produce a siren or be silent, depending on your preference. The “motion sensing” feature on most lights uses a passive system that detects infrared energy. These sensors are therefore known as PIR (passive infrared) detectors or pyroelectric sensors which detects infrared energy, i.e., heat radiating from an object. In order to make a sensor that can detect a human being, you need to make the sensor sensitive to the temperature of a human body. Humans can radiate infrared energy with a wavelength between 9 and 10 micrometers. And accordingly, the sensors are typically sensitive in the range of 8 to 12 micrometers. Motion sensor lights usually consist of a small lens that detects rapid changes in heat or movement. It is sensitive to motion, but not to a person who is standing still. That’s because the electronics package attached to the sensor is looking for a fairly rapid change in the amount of infrared energy it is seeing. When a person walks by, the amount of infrared energy in the field of view changes rapidly and is easily detected. It’s best to mount motion sensing lights 6 to 10 ft. above the ground and position it so that most movement will occur across the sensitivity zone rather than directly toward the detector. The area the device covers then depends on how you place it, specifically how you set its angle and distance range. To limit the range of motion detection, adjust the sensitivity levels or viewing angles. Before adjusting however, do read the operating manual. Depending on the type or make of the motion sensor light, there may be more than one switches controlling sensitivity and other levels, and you may need to put the device on test mode before adjusting. Normally though, switches are found at the bottom of the device. To ensure round-the-clock coverage, you could install two bulbs in the device in case one of them burns out. Moreover, to protect against bad weather, you could install weatherproof floodlight bulbs or a weatherproof box for the device. But make sure to always turn the power off before attempting to add or replace the bulbs. With the long list of motion sensor lights on the market, it will be important for you to find one that best fits your needs and your budget. Below, we’ve identified several affordable motion-activated lights to help you decide what will work best for your property. Mr. Beams provides bright, battery-powered light nearly anywhere to instant convenience. 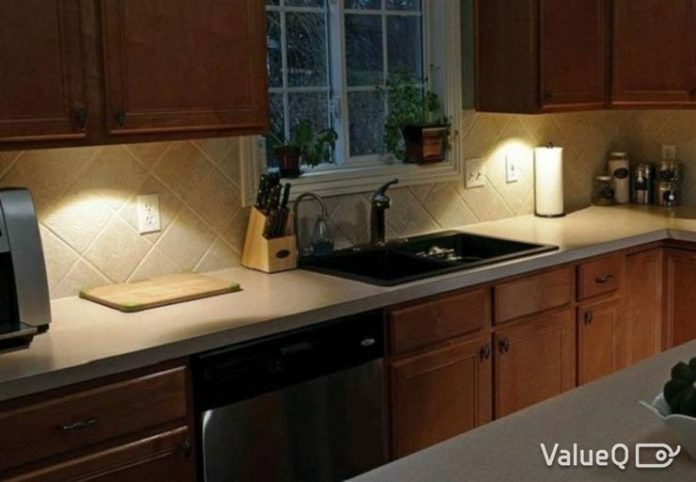 You can get motion-activated task lighting for kitchen counters, work benches, closets, utility rooms and shelves in less than 5 minutes. This wireless light, which is about the size of a smartphone, easily installs under cabinets and shelves. Uniquely designed to activate when sensing motion up to 7 feet away, the lights remain on as needed before shutting off automatically after 20 or 60 seconds of no motion being detected, making them ideal for navigating the way to the bathroom or kitchen in the middle of the night. Furthermore, they only activate automatically when detecting darkness to conserve battery power during daylight hours. Sleek and stylish with a weatherproof design for indoor and outdoor use, the nightlights come with both tape and screws/mounting anchors for simple, custom-fit installation. Panasonic Sensor Solutions include a wide range of technologies which provide the flexibility to easily choose and implement a Sensor. Its built-in Sensors contribute to energy savings, safety and comfort. With high-functionality and high-performance, Panasonic has solutions for sensing and detecting rotational speed, rotational angle, position, flow, velocity, temperature, magnetism, currents and more. Its sensor products combine the latest technology with plug-and-play devices such as the Grid-EYE Unit, the Grid-EYE Evaluation Kit and more. You can also install a Motion Sensor Switch to new or existing lights. The wiring is a little more complicated than it is for most electrical projects, but even a novice can handle it. If you find it uncomfortable with electrical projects, an electrical contractor can easily and quickly do the installation for you. Thanks for your reading! If you want to know the remaining, please check ValueQ. Previous articleDIY Crafts : DIY Vanilla Coffee Sugar Body Scrub. An awesome homemade gift idea!